It’s no secret that Guyanese eat a lot of rice. If you follow me on Instagram you’ve probably caught a glimpse of my daily meals and rice is almost always on my plate. Guyana is a rice producing country so it’s only natural that it is a staple in our diet. 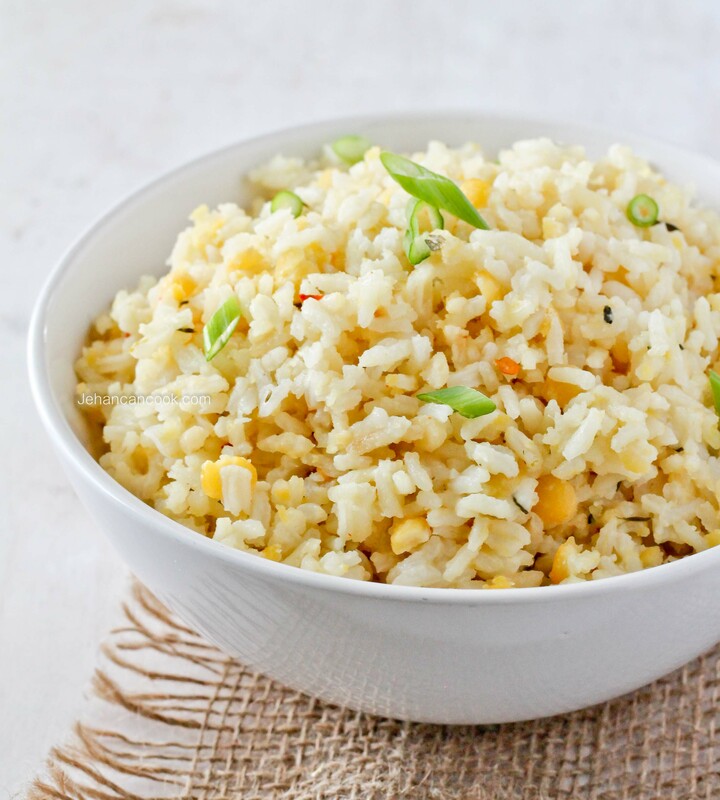 I’ve shared many variations of rice on this blog and yet still there is more. Originally I was going to make split peas cook-up but decided to just do a seasoned split peas rice instead. I love split peas in rice but it can be tricky too cook. If cooked a bit too long it turns to mush which glues the rice grains together…yeah, not my favorite. The trick is to soak it overnight and cook it until it just starts to soften before adding the rice. If you add the rice too soon then you will have the opposite problem which is hard split peas and nobody like hard split peas in rice. I served this rice with the Caribbean Fried Chicken that I shared earlier in the week. Enjoy! Place split peas in a medium sized bowl and cover with water. Allow to soak overnight. Strain split peas then add to a large pot with 3 cups of water. Over high heat, bring to a boil then cook for 15 minutes until peas are just a bit soft but not mushy. You should be able to crush the peas between your fingers by applying pressure. Next add rice, coconut milk, 1 cup of water, garlic, thyme, onion, salt, cube and hot pepper. Stir after adding the rice then bring to a boil. Stir again to loosen up any rice that may have stuck to the bottom then reduce the heat to low and cover. 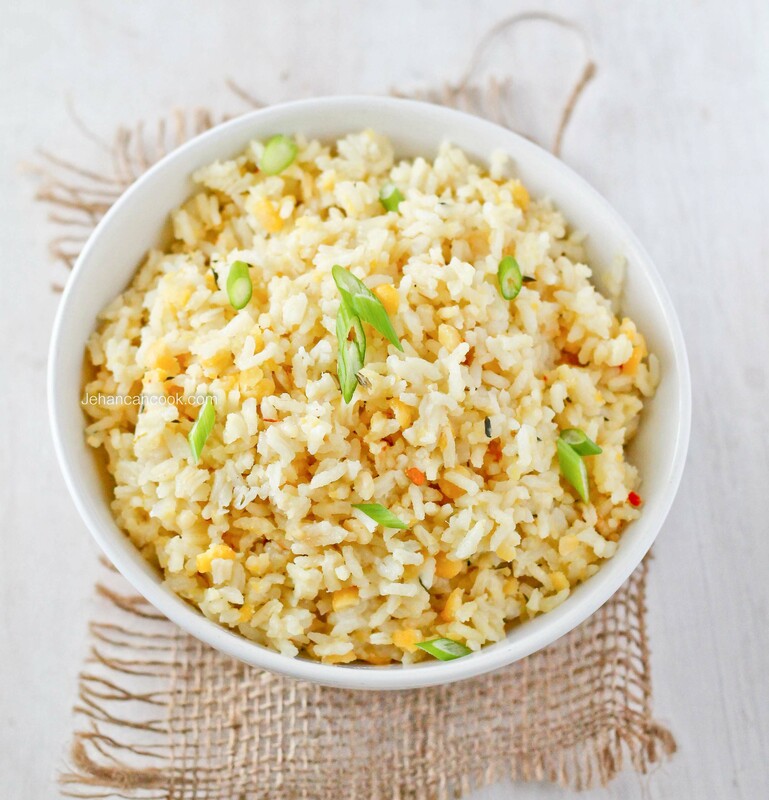 Cook for 25 minutes until the rice is cooked and the liquid is completely absorbed. Garnish with chopped scallion. Rice should be fluffy and not mushy. If the liquid had completely absorbed and the rice is still a bit hard, add more water, about ¼ cup at a time. Do not add too much water or the rice will become mushy. Always add a little at a time. To make vegetarian, replace the chicken bouillon with vegetable bouillon. Nice Modern Version of Split Pea Cook-up Rice! Not sure if the rice is being cooked separately with coconut milk, cup of water, garlic, thyme, onion, salt, cube and hot pepper or all together with the split peas? Johnny the rice is added to the pot with the split peas. They are all being cooked together.